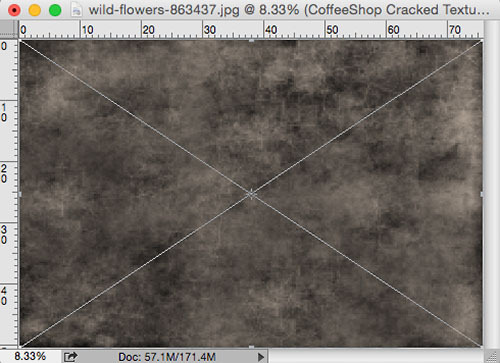 The CoffeeShop Blog: CoffeeShop Artistic Cracked Texture and Tutorial: Part 2! CoffeeShop Artistic Cracked Texture and Tutorial: Part 2! 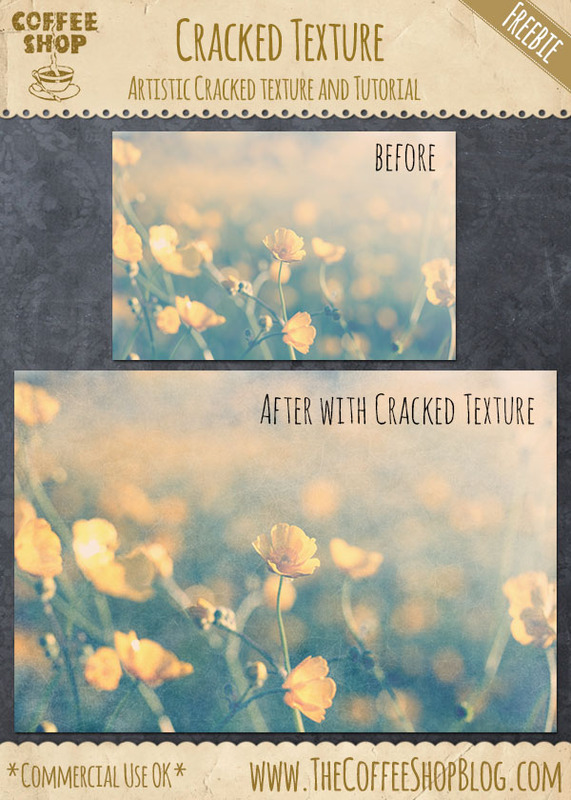 Today I have a new free artistic cracked texture. This texture looks gorgeous on still life images and when used along with an action you can create your own fine art. If you love cracked textures as much as I do, be sure to check out this Flypaper Fine Cracks Texture Set. I took this image and ran the CoffeeShop "Soft Hazy Blues" action on it and then added the Cracked Texture. You can see the progression below. 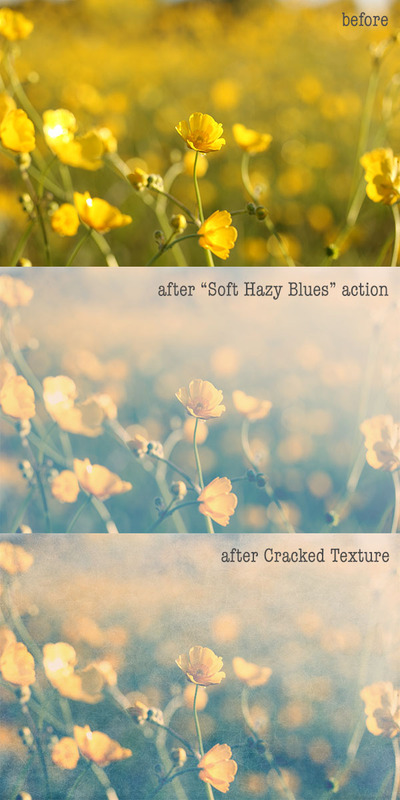 After running "Soft Hazy Blues" (full step-by-step tutorial here) I opened and dragged on the CoffeeShop Cracked Texture under the Sun layer and above the Haze layer. Free Transform to fit (Ctrl-T). If you can' t see the lines to resize then Ctrl-0 (zero) to zoom in and out. I put this layer in Soft Light 100%, but you can try screen, overlay, hard light, multiply, or even a combination of those (just copy the texture to a second layer). You can also adjust the opacities or fill or add and paint on the layer masks. 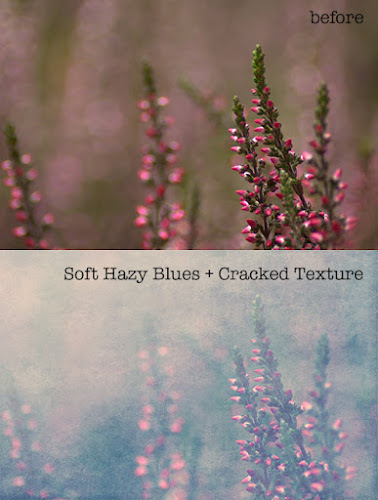 Here is a another edit using Soft Hazy Blues and my cracked texture on this image. Download the CoffeeShop Cracked Texture. You can also download it here. Love this texture. Thanks so much! Thank you, I love reading that!!! If you ever have anything specific you want to see up here, just leave a comment.